Every acrylic that we carry here at Bath Makeover of Arkansas is of the highest quality. Furthermore, they are exceptionally easy to maintain so you can spend more time enjoying your bath installation instead of laboring over general cleaning and maintenance. Our goal is to make sure that you receive the best product and installation for your Clarksville bathroom. That’s why we employ only the most knowledgeable professionals that can help you identify which product can benefit you and your bathroom the most. Learn more about the options we have by viewing some of the resource pages below or contact us to schedule a free consultation! Know the Best Time for a Bathroom Remodel: The quality of your bathroom is largely tied to the aesthetic. Find out how to tell when your Clarksville bathroom needs a remodel. Enhance Bathroom Beauty with a Remodel: Our remodels can instantly increase the aesthetic appeal of your Clarksville bathroom. Discover all of the ways our high-quality products can renew the joy you feel during your bathing experience. A Bath Remodel for Any Situation: The wonderful options we carry can update your bath system the moment they are installed. See which bath remodel option is best for your Clarksville bathroom. How a Replacement Bath Affects Your Bathroom: Your bathroom’s beauty is greatly affected by the condition of your bathtub, which makes it imperative to ensure it’s in good condition. Check out our high-quality replacement baths and find the perfect one for your Clarksville bathroom. Budget-Friendly Solutions with Bath Liners & Surrounds: Not every bath remodel requires a messy tear out and may simply need a new interior. Find out if the bathtub of your Clarksville bathroom is a good candidate for our bath liner and surround solutions. Simple Solutions for Shower Remodeling: Enhance the quality of your shower by choosing from one of our high-quality shower remodels that are perfect for your Clarksville bathroom’s needs. Affordable Remodeling for Shower Interiors: Our shower wall surrounds and replacement bases can instantly upgrade or renew the appearance of your shower. Find out more about these products and what benefits they can bring to your Clarksville bathroom. Create a Grand Entryway with a Shower Door: You can finally have the elegant entryway to the shower of your Clarksville bathroom that you’ve always wanted with our shower door options. Check out the amazing styles of our shower door selection. Ways to Retain Bathing Independence: Don’t lose your ability to bathe independently in your own Clarksville home. Discover the advantages of accessible bathing in your home today! Walk-in Tubs -The Accessible Bathing Standard: Experience the standard in accessible bathing once you have one of our beautiful walk-in tubs installed in your Clarksville bathroom. Convert Your Tub into an Easy-Access Shower: Take the effort out of your bathing experience when you choose to have your Clarksville bathtub converted into an easy access shower. 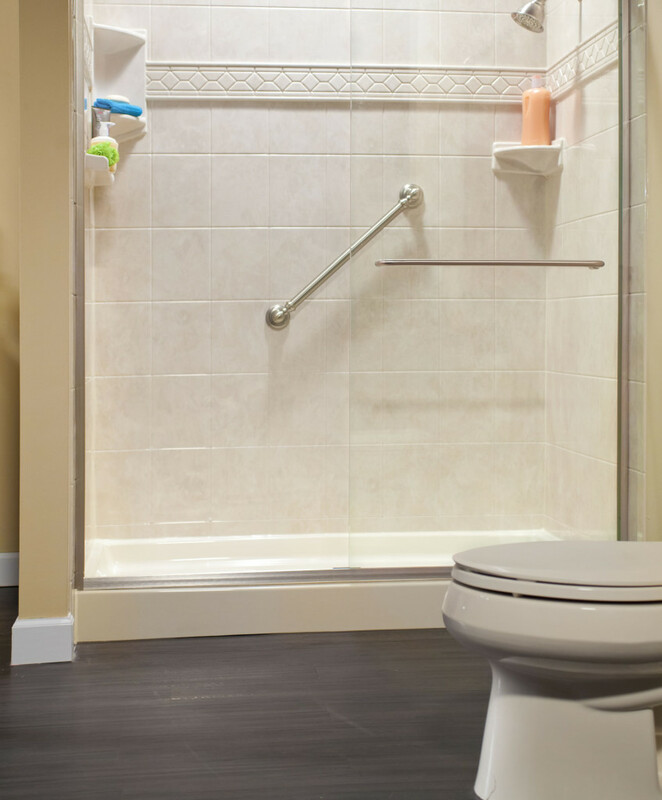 Affordable Accessibility with Inserts & Barrier-Free Bases: Our step-though inserts and barrier-free bases are perfect for Clarksville homeowners in search of accessible bathing on a budget.